Many people who have attended the numerous exhibitions in Trimingham Church set up by Dot Bradley over the years will recognise her careful documentation of village life going back across the decades into Victorian times. Her photographic archive is a very fine one and her research into many aspects of village life, its traditions and its characters, is unusual in its detail and insight. We are fortunate to have Dot as a major contributor, and this page with its title, “A Walk Through Time”, was created by her specially for this site. The lis t of Rectors starts with the date 1294, and the births, deaths and marriage records from 1691, as far as can be ascertained. Inside the Church there are the War Memorials for the First and Second World Wars carved by Rev Page. Of those listed for the First World War not all were villagers: Major Lash was Rev Page’s first wife’s brother, and Lt Bosanquet was billeted with Rev Page when he lived at the Rectory. The east window, the parish war memorial, was designed by Mr Horace Wilkinson, and was dedicated on 10th August 1920. There are several interesting gravestones in our Churchyard. One such is the gravestone for Douglas Cooper, fourth son of the late J Ibbetson Cooper Esquire and Elizabeth Douglas and also Thomas Thornville Cooper, eighth son aged 35, buried within the residency of Bhamo Burmah. Why the reference to him dying in Bhamo? Thomas Thornville Cooper was born on 5th July 1839 in Sunderland, christened 13th September 1839 at Holy Trinity Church Sunderland and was an adviser to William Gill who explored China. Gill and Mesney arrived at Bhamo on 1st November 1877. There the local political agent, Thomas Cooper, greeted them. Five months after greeting Gill at Bhamo, Thomas Cooper was murdered at his home there by one of his sepoy guards on 15th February 1878. A daughter of Sir Samuel Bignold, a founder of Norwich Union, is also buried in our Churchyard. 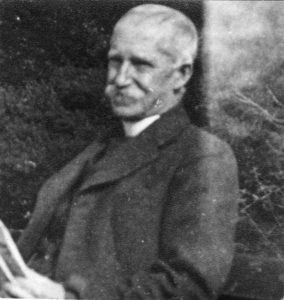 Sarah Frances Bignold married Thomas Romaine Govett who was Rector of Trimingham from 1883 to 1886; he was only Rector for two years. There is also the grave of the Dutch Fishermen, whose boat was washed up on Trimingham beach on 30th October 1881. There were 5 adults and 2 children found in the boat. The Rector’s wife wrote a poem about them. Mary Ann, Robert Thomas, Bonnett, James, Benjamin, Henrietta, Sophia Katherine, and John William. Benjamin Rust did not confine his energies to Cromer. 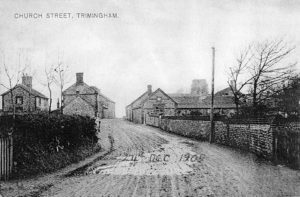 In 1818 he bought a property in Trimingham, and opened a branch there, which was in the possession of the firm until 1922. There was an air crash on 22nd September 1941, a Blenheim, in which all three members of the crew died. It was in the field near the Council Houses. They were carrying out low level practice bombing, and the pilot pulled up too late to clear a 50ft mast, causing the aircraft to crash. 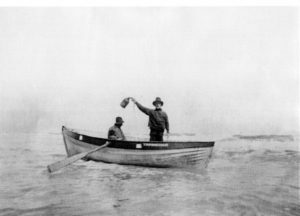 The p ictures of Trimingham fishermen Thomas and Theo Clarke can rival any photographs of Cromer and Sheringham fisherman for their character. The fishermen used to help each other up and down the cliffs with their boats; they would take them down on rollers in the spring and bring them back up the same way in the autumn. 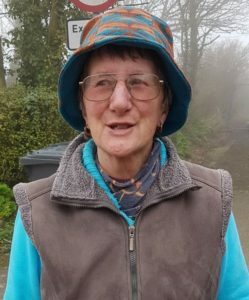 Before she was murdered in 1976 Barbara Gaul lived in Loop Road, Trimingham and Alec can remember her waving to him on the day she left Trimingham. She used to go and have a cup of tea and a chat with Florrie Reynolds. The Daily Mail covered the trial quite extensively. The Eastern Daily Press is a great source of information. There are the Inquest Reports on the death of Ann Elizabeth Bullen in 1893 through the neglect of her mother and the midwife, and of Herbert Ernest Page aged 2 years 10 months, knocked down and killed by a motor car. Other articles range from Breach of Promise of Marriage, to Sea Bathing Tragedies, to Annual Dinners at the Crown and Anchor, to missing Horse & Trap, to Festivals and Lists of Visitors. It was the custom for visitors to holiday resorts to have their names and addresses published in the EDP, and the number who stayed at Trimingham is surprising, the most famous being the Farjeon family. The book “My Cricket Bag” by H Farjeon contains several paragraphs about holidays in Trimingham. They had stayed at Grange Farm, now Church Farm. Crown & Anchor, The Nest, The Grange, 1 & 2 Malvern House, Post Office, Bates Farm, Mr Greens, Mrs Dearys, Mr Girdlestones, Rose Cottage, Pond Cottage, The Buildings, Holiday House, Cliff Cottage, William Pardons, Redmonds, Forge Cottage, The Beacon, Mr Pyes and Nett Cottage. In some cases the family moved out of their houses and lived in garden sheds or into one room. Page 4,208 Saturday 5th September 1812 Rose 40 m after 6 – The morning very fine. Mr Hammond took me in His Whiskey to the Trimingham Telegraph abt. 6 miles from Cromer and east of it. From the situation on which it is placed there is a most extensive Panorama prospect: Seventy Six Church steeples may be counted. There is however no principal feature in the view & it is extent of view only that makes it in some degree interesting. There is a small neat habitation attached to the Telegraph in which Lieutenant Enfield and His wife reside. He has the command of the Telegraph & has been on this station Six or Seven years. Mr Hammond had understood that His pay is Six Shillings a Day, and that He has the habitation rent free and Coals and Candles. He complained of His situation as being so far from the Post Town (Cromer) that He could not depend upon seeing a newspaper oftener than once a week, which, in the present situation of Europe, was too long to remain with. some knowledge of the events as they follow each other. He was very civil to us & introduced [us] to His wife, a small person of delicate make. She spoke of the severity of the weather at some seasons and that Her health was not so good as when she resided in London. I asked Mr Enfield in what time He could make or receive a communication to or from the Admiralty in London. He said it depended upon the kind of communication (how much to be reported) but it might be reckoned Six or Seven minutes – He said a communication had been made & an answer recd. From the Admiralty to Portsmouth in four minutes and a Half. A resident of The Grange was Mr Warnes and he was a great supporter of the growing of flax, which was used for linseed oil and linen. In the 1841 census he is detailed as an independent gentleman. He and his wife Louisa Blencowe had 8 children, and 7 were baptised at Trimingham Church. He advocated the use of flax as a means of employing the poor and there are numerous newspaper articles etc by him. He also wrote a book “The Cultivation of Flax” which has recently been re-issued. As the name of the cottages implies, there was a Coastguard Station in Trimingham and there is a list of the men employed there from 1851 to 1871. The lifesaving mortar, devised by Captain Manby, was employed to good effect in November 1810, after a small vessel came ashore at Trimingham during a north-easterly gale. The commander of the signal station there, Lieutenant Infield, requested the mortar equipment from Cromer. With the waves crashing around the casualty, the mortar was set up and a shot was fired. The second fell across the wreck’s rigging and four of the crew were saved. Here is a coastguard station, with a chief boatman and four men. It is furnished with the necessary apparatus for communicating with and succouring distressed vessels, but there is no lifeboat. The Coastguard Station here has been abandoned, but the place is furnished with rocket apparatus for communicating with distressed vessels, though there is no lifeboat. The Crown & Anchor was the village pub, but was burnt down and left a big hole in the village social life. There was an article about the railway coming to Trimingham in the Cromer and North Walsham Post dated 26th September 1891 headed Land Sale at Trimingham. 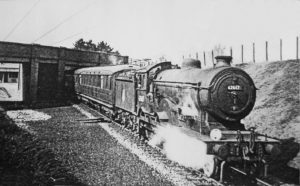 A special train from Liverpool Street brought down speculators and others numbering 200 and at Cromer they were joined by about 100 others and they were conveyed to Trimingham by omnibuses and other conveyances. They had lunch and 156 plots were offered for auction. It lists the buyers of the plots and how much they paid. Notes: Island platform building in final M&GN brick and terracotta style with enamel name board and platform-mounted M &GN type 1C signal box. Access was from the overbridge via wooden stairs. Between Trimingham and Overstrand was Sidestrand Halt, opened on 23 May 1936. It had a low timber platform without a shelter and was little used except by summer walkers. Remains: Stationmaster’s house, cottages, bridge. 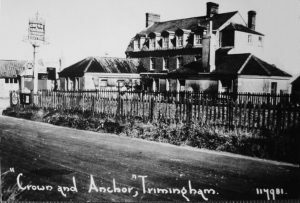 Trimingham Station is mentioned in several books and there are a number of postcards. There were articles in the EDP and The Daily Sketch about its closing. 10. Charbar – Captain Charles Brannan was the Post Master, his wife’s name was Barbara, hence the name Charbar. There was a postman just for Trimingham. He used to bike down to Mundesley in the morning to collect the post and delivered it. The round went from Trimingham House and up the main road, part way down Gimingham Hill, Middle Street, and the rest of the main road. There were the properties down the two roads which were by the Crown and Anchor, Blackberry Hall, Keepers Cottage and Coastguard Cottages. He would collect the post from the post box and take it to Mundesley, collect from there any post for the second delivery, then collect the post again and take it to Mundesley. All done on push bike. The first mention of a school in Trimingham is in the History Gazetteer and Directory of Norfolk 1836, which states that it was for 30 children. The school closed on 30th April 1932. There were Trimingham Festivals held from 1989 to 1997, starting at Woodlands Caravan Site but mainly at Church Farm, with Craft Displays in the Church. These events were greatly enjoyed and were very well attended. 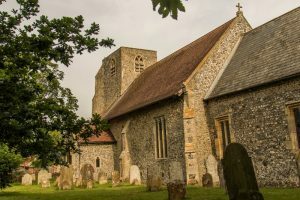 These days the Church has an open weekend at the end of May each year, with craft displays and also displays showing the history of Trimingham with photographs. However, there were much earlier events – for example, a Horticultural Show, reported in the Cromer and North Walsham Post on 24th August 1895. A Discotheque, Barbecue and Firework Display, again at Church Farm, took place on 4th November 1967. There was a Coronation Float and Father Christmas drove through the village. The life of Rev Page is set out in the book the Man of God. He was a great swimmer and legend has it that he went down the cliffs every day in the summer with his dogs and went for a swim, even when the cliff was mined. He spent a total of 44 years at Trimingham. You can see his carvings in the Church; he was also an accomplished water colour painter. He built Pilgrim House, the Pilgrim Shelter and three other houses. At the age of 66 he married his second wife, Lollie Kerr. The Radar Station was established by late 1941. Its primary function was to detect German Eboats and low flying aircraft. It was also the site of an Oboe station, a Precision Navigation Aid for bombers attacking the continent. In the early 1950s the station was remodelled as part of the ROTOR programme to upgrade Britain’s radar defences. At this date new radar was installed and an underground bunker built. The station closed during the 1960s (and Mr Lister Stott lived there and did tours of the tunnels). It was, however, rebuilt during the late 1980s and ground facilities remodelled to meet present day needs. The surviving buildings and features are all post war in date. To the south of the Mundesley Road the only survivals are the Guard Room and underground bunker. This part of the site is an active RAF station. To the north of the road five early 1950s radar plinths survive, including the building which housed the protype 80 radar. Other remains in this field comprise concrete footings. Of course, we now see the dome. 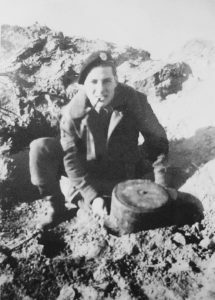 On 6th May 1953, two weeks after the start (of mine clearance) a mine exploded killing Sgt O’Doherty and Cpl Braddock. Capt. Hough and Sgt Thomas both crawled on to the minefield without protection to try and attempt a rescue, but both were dead. Capt. Hough was awarded the George Medal and Sgt Thomas the BEM. Civilians also died, like Ben Payne of Mundesley. Apparently he was trying to recover a rabbit he had shot. Three young boys also strayed on to the minefield and two died, Roy Riley and Ernest Whitwood. The third boy, Patrick Allum, survived. Life-long resident Alec Reynolds has said that when the minefield was being cleared, the mines were brought up and stored behind the Pilgrim Shelter and then dismantled and carried away on lorries.